Corey Harrison Wins Event #24 $1,500 No-Limit Hold'em! At the start of the day, 17 players had a dream of being the next WSOP bracelet winner. After more than 12 hours of play, that dream was realized by Corey Harrison. Not only did he claim his first WSOP, but he also walked away with a nice chunk of cash: $432,411 to be exact. Even though the average stack coming back was around 30 big blinds, it took us less than an hour and a half to make it to the official final table. On the way there, we lost Travell Thomas (15th), Jacob Schinlder (13th), and Arshin Gamini (12th). It only took us 18 hands to lose our first player, and it was Robert Brewer. He got it in with tens against the King-Queen of Mohsin Charania, and while he survived the flop, a queen on the turn sealed his fate. From there, we played for nearly three more hours before Gareth Teatum in 8th place. It was once again Charania who played executioner, after he woke up with against the of Teatum, who earned just over $40,000 for his efforts. From there, the two big notables at the final table busted. The first to go was former EPT champion Zimnan Ziyard, who busted when his could not crack the of Salvatore Dicarlo. Not long after, Charania suffered a brutal beat from Dicarlo , after his flopped two pair was cracked by river trips. Not long after, Charania fell in 6th place, when Cascado’s bested the after Cascado flopped a queen. 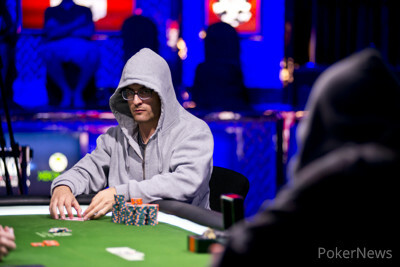 On one of the last hands before the dinner break, Gregory Josifovski busted in 5th place. Josifovski held against the of Corey Harrison. Josifovski flopped and turned a boat load of outs , but he was never able to catch up to Harrison. He took home just under $100,000 for his efforts. There were four players left coming back from dinner, and Paul Spitzberg was the first of the four eliminated. Spitzberg check raised on a flop of , then called off the rest of his stack after Cascado shoved. Spitzberg’s was well behind the of Cascado, and he wasn’t able to catch up, busting in 4th. Three handed play lasted 90 minutes, with Harrison and Dicarlo both doubling up at some point. Eventually, we lost Dicarlo in 3rd place. He open shoved with , and was behind the of Harrison. The board ran out , and Dicarlo bowed out short of heads up play. Harrison and Cascado battled heads up for nearly two hours, with both players holding big chip leads at some point. Cascado got short, then doubled up, but busted on the next hand. He moved all in preflop holding , and Harrison called with . The flop was a beauty for Harrison, coming . Harrison had to fade two outs, and he was able to do that, as the board completed and . 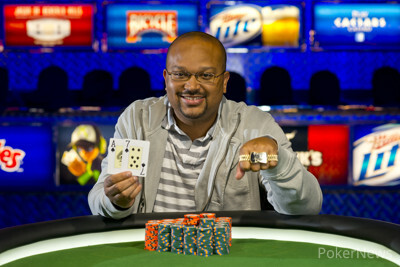 Congratulations again to Corey Harrison for winning his first WSOP bracelet! Thanks as always for tuning in, and we will see you at the next final table! Hand #211: Harrison opened to 250,000 from the button. Cascado moved all in from the big blind. Harrison called. The flop came down giving a huge lead to Harrison with top pair and a flush draw, but Cascado could still catch up with a queen for a straight. The turn was the keeping a queen live to Cascado. The river was the though, giving Harrison two pair and the win. Cascado didn't go home empty handed though, his second place finish was good for $267,452. Hand #207- Corey Harrison limped in, and Daniel Cascado checked his option. The flop came down , and Cascado fired out 135,000. Harrison raised it up to 350,000, and Cascado folded. Hand #208- Cascado made it 250,000 on the button, and Harrison moved all in, causing Cascado to fold. Hand #209- Harrison moved all in, and Cascado folded. Hand #210- Cascado moved all in for 1.39 million , and Harrison made the call. Cascado grabbed the lead when the flop came down , pairing his five. Cascado was looking to fade a king or a ten to survive, and he did that, as the board completed and . Cascado doubled up to 2.82 million, and is back in this match. Hand #204: Harrison received a walk in the big blind. Hand #205: Harrison raised to 250,000 on the button. From the big blind Cascado reraised to 595,000. 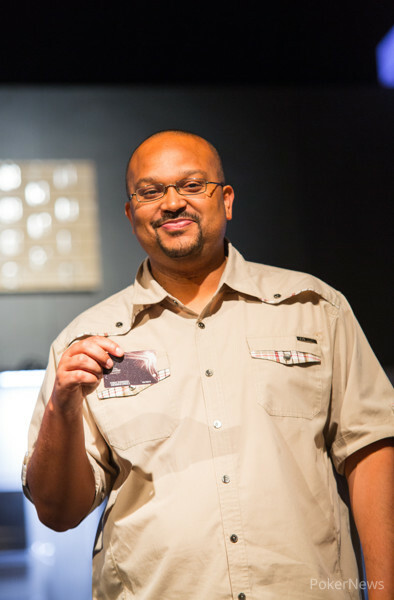 Harrison grabbed a stack of green T25,000 chips and reraised to 1,400,000. Cascado quickly gave up his hand. Hand #206: Cascado raised to 250,000 from the button. Harrison just called from the big blind. On the flop, both players checked to the turn. Harrison led out with a bet of 300,000 chips. Cascado just called. The river was the and Harrison continued with a bet of 450,000. And Cascado folded. Hand #199- Corey Harrison made it 240,000, and Daniel Cascado folded. Hand #200- Cascado made it 250,000, and Harrison folded in the big blind. Hand #201- Harrison folded, giving Cascado a walk. Hand #202- Cascado raised to 250,000 on the button, and Harrison folded. Hand #203- Harrison made it 250,000 from the button, and Cascado reraised to 620,000. Harrison folded, and Cascado took down the pot. Hand #196: Cascado opened to 240,000 from the button. Harrison called from the big blind. On the flop Harrison led out with a bet of 250,000. Cascado called. The turn was the . On that turn Harrison continued with a bet of 450,000. Cascado just called. On the river Harrison slowed down with a check. Cascado checked behind. Harrison showed for a flush and Cascado mucked his hand. Hand #197: Harrison raised to 250,000 from the button. Cascado called. Both players checked on the flop. The turn was the and Cascado put out a bet of 285,000. Harrison folded and the pot was pushed to Cascado. Hand #198: Cascado limped on the button and Harrison checked his option. On the flop of Harrison led with a bet of 150,000. Cascado called. The turn was the and Harrison continued with a bet of 275,000. Cascado grabbed a stack of chips and reraised to 675,000 total. Harrison grabbed some chips of his own and reraise to 1,125,000. Cascado folded and Harrison was pushed the pot. Hand #192- Daniel Cascado raised it up to 240,000, and Corey Harrison reraised it to 600,000. Cascado folded, and Harrison took down the pot. Hand #193- Harrison limped in, and Cascado raised it up to 350,000. Harrison made the call, and the flop came down . Cascado fired out 315,000, and Harrison kicked his hand in. Hand #194- Cascado raised it up to 240,000, and Harrison made the call. The flop came down , and both players checked. The hit the turn, and Harrison fired out 250,000. Cascado folded, and Harrison took down the hand. Hand #195- Harrison made it 250,000 from the button, and Cascado folded, giving the pot to Harrison. Hand #189: Harrison raised to 240,000 from the button and Cascado called from the big blind. The flop came and both players checked. The turn was the and Cascado checked to Harrison who bet 220,000. Cascado folded and Harrison scooped the pot. Hand #190: Cascado limped in on the button. Harrison checked his option. On the flop, Harrison checked to Cascado who bet 125,000. Harrison raised to 350,000 and Cascado folded. Hand #191: Harrison limped in on the button. Cascado checked. The flop came down and Cascado checked to Harrison who put out a bet of 125,000. Cascado called. On the turn Cascado checked again. Harrison bet 160,000 and Cascado called. The river was the and both players checked. Harrison showed and it was good enough to scoop the pot.